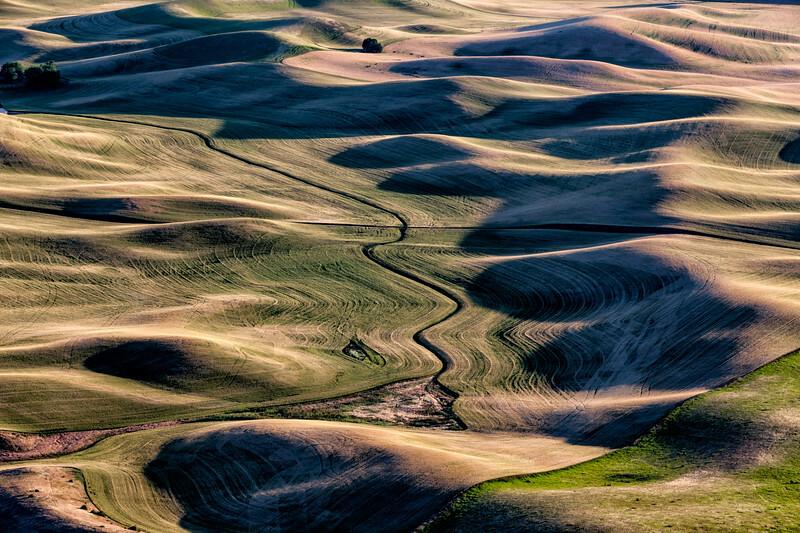 The Palouse is a 4,000 square mile region of rolling, asymmetrical hills composed of loess, that stretches across parts of Idaho, Washington and Oregon. Loess is a loosely compacted yellowish-gray sediment that is formed by the accumulation of wind-blown dust. Palouse is a major agricultural area, primarily producing wheat and legumes. The setting sun adds more drama to what is already a unique landscape.